Markets are getting busy to close out the week and things aren’t going to be slow given the newsflow and economic data that is around over the next 24 hours. The main event on the radar is still clearly the US jobs report. Today we get a look at the unofficial ADP report which will give us an indication as to where the non-farm number might sit tomorrow. 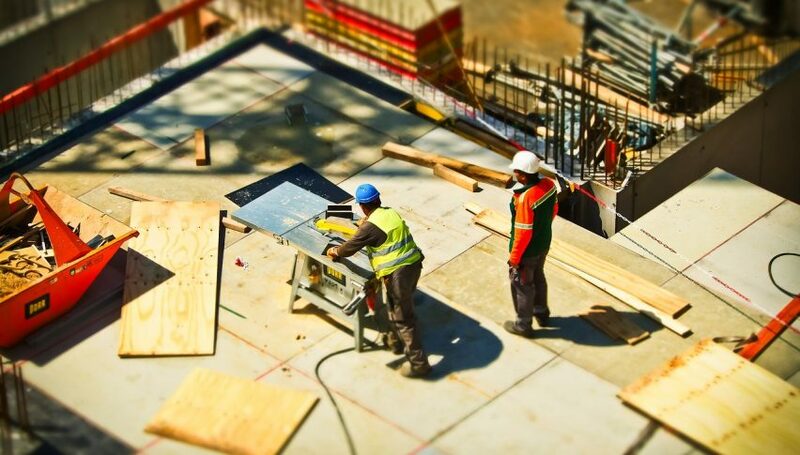 We are looking at 188K jobs created last month according to predictions for ADP. Elsewhere the GBP/USD is still very much focused on Brexit. There have been some positive headlines hitting the wires that have helped price recover a touch. Cryptocurrencies haven’t been so fortunate and in the last 24 hours, we’ve seen significant selling. Bitcoin, in particular, has taken a beating and is now back below $7,000 after Goldman is apparently not moving forward with a crypto trading desk. We are seeing some good ranges and solid trends intraday, so conditions are good for trading right now. The FX Leaders Team has had a second massive day and grabbed seven straight winners. The only blemish came late in a NZD/USD signal. But it has been a great couple of days, which has been helped by plenty of movement. 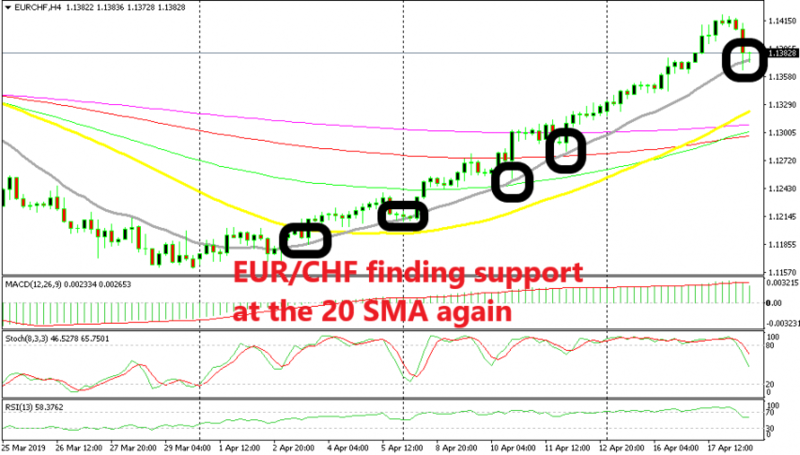 EUR/CHF – The EUR/CHF has bounced off 1.2500 and this pullback seems like it has the potential to be a good short. Bitcoin has done what can only be described as a 180. We were looking very comfortable this time yesterday before things turned south. Prices have broken through $7,000 and printed as low as $6,250 before bouncing to $6,500. Goldman has apparently canned their crypto desk which is a bit of slap on the sector. 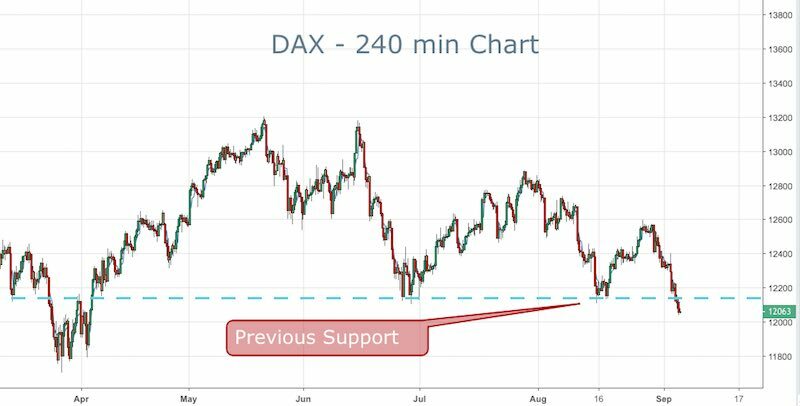 The DAX has cracked through support which will now ideally become resistance. Worldwide equities have been weak the last two days. Tech stocks pulled the NASDAQ down and that has followed through into Asia. I expect the DAX to open low and resistance to hold.